Nilanjana Banerjee is an international dance performer who has won critical acclaim and captured the hearts of her audience. 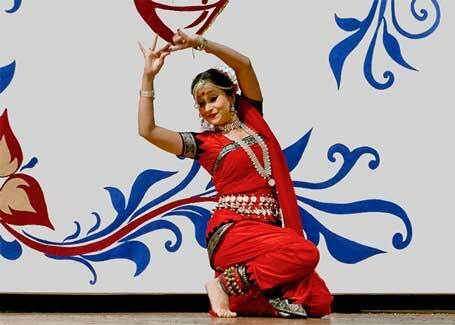 She specializes in the classical dance tradition of Odissi. She has performed extensively for the Indian diaspora in the US. Nilanjana has the distinction of being featured as a solo artist for the opening acts of major Indian Conventions featuring top name performers. She has beguiled her audience by the breath taking temple sculpture inspired postures, intricate foot work and above all devotion. Mere technical perfection and faultless execution of steps were never enough for her. Nilanjana’s ability to connect with her audience and emote joy and passion for her dance makes her performances a truly unique experience. Her graceful movements, her emotional rendering of Sringar and other rasas transports her audiences to a higher spiritual realm. This is the heart of her unique spiritual journey from India to California. Nilanjana is blessed with patience and peace in her soul. Within a short spell, her young disciples will imbibe a spirit of learning and devotion. She will be able to guide them in the true Guru Shishya tradition so that each student can develop a deep rooted love for this ancient art and reach their full potential. To touch, to move, to inspire. This is the true gift of dance. 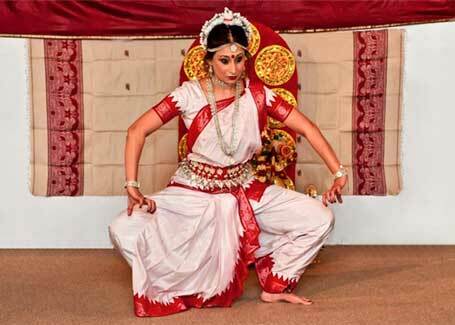 Nilanjana was initiated into dance by the Revivalist Odissi Guru Mayadhar Raut. 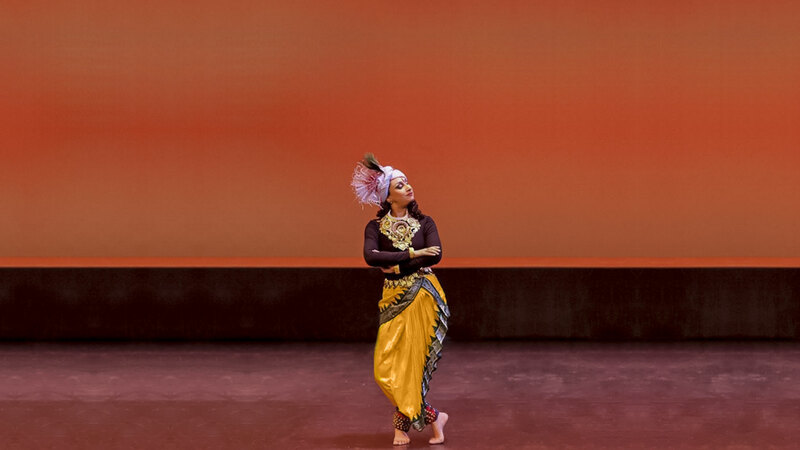 Growing up in Delhi, she continued learning with the danseuse Aloka Paniker. She performed in several youth dance festivals and was featured as a youth artist on Indian Television Network. To get a better perspective of Indian temple dances, Nilanjana also studied Bharatnatyam at Bhatkhande Hindustani Sangeet Mahavidhyalaya. Nilanjana took a brief hiatus from active stage performances as she devoted herself to motherhood, a big milestone in her life. This experience deepened and enriched her artistic existence. It takes an athlete to dance, but an artist to be a dancer. Having relocated to New Jersey her passion for learning Odissi continued. She joined RDM and immersed herself into learning and mastering her art. Dance became a way of life for her and gave her the strength to strike a delicate balance between the demands of motherhood and her life as a dedicated performer. Under Guru Mitra Purkayastha’s able guidance, Nilanjana blossomed into a dancer ready to interpret Odissi with unparalleled maturity and finesse. Guru Mitra guided and mentored her every step of the way in this spiritual quest where her body and soul became one when she performed. RDM Studio promotes and organizes dance events in the local community where people get the chance to explore unique dances like Zumba-Bollywood fusion, Folk dances from India and other Central American/Polynesian countries. As a board member of the non-profit organization Ahaana, Nila is deeply engaged in the many events organized by the South Asian women’s network. She strongly believes in supporting other women in her community. The modern woman is about embracing life’s changes in a positive spirit. Neither age nor society should ever be a barrier to one’s dreams and aspirations.